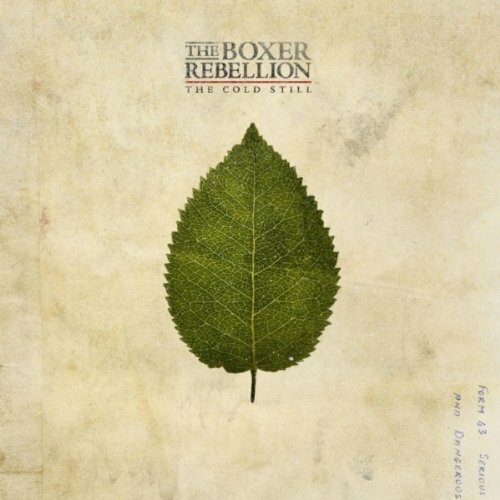 To call The Boxer Rebellion’s sound epic would be an understatement, as the unique sound captivates the spectrum of all encompassing emotions. The London quartet possess pensive ambitious guitar riffs, coated with substantially heavy keyboard output, which is solidified with anchored drums. Somewhere between the National and Radiohead, The Boxer Rebellion’s “The Cold Still” sits pleasantly, tackling the hardest defining emotions of humankind and declaring a truly distinctive sound. They have learned a substantial amount and have made a name for themselves since the last release, “Union,” notorious as their first self-release. Scoring one of the top producers of today, Ethan Johns (Kings of Leon) and starring in a Hollywood film (Going the Distance), The Boxer Rebellion have much of which to be proud. Although on “The Cold Still,” The Boxer Rebellion’s front man, Nathan Nicholson’s exclusive vocals and lyrics seem somewhat withdrawn in the fervor department, evidence can be seen on the amateur track “The Runner.” It comprises the same recurrent few words rehashed in a different way. However, the ardor is unquestionably apparent on “Doubt” and the Coldplay collation “No Harm,” but is charlatan in tracks of the likes of “Organ Song” that drums its way into the juxtaposing vital drum backbone of the Arcade Fire “Rebellion (Lies)” feel. Although, The Boxer Rebellion do leave us with a peaceful and light ballad “Doubt,” possibly assuaging that empty feeling imposed upon the listeners and moreover, a perfect title for the identity crisis, they are facing at the moment. If there is one thing I have learnt from The Boxer Rebellion it is their constant striving and strain to set a poignant or emotive overtone to their work. Perhaps taking away from the mood and emotiveness altogether, as noted in “Both Sides Are Even.” Dreary might be perfect descriptor for the track – definitely not what The Boxer Rebellion was going for. Thus, conceivably leaving the listener in a futile state. Even “The Cold Still” ‘s cover possesses an enlivened and fresh green leaf, against a tattered backdrop. While covering your bases could be extremely advantageous in some situations – not this one. The lack of vehemence deters from the rest of the album. Perhaps the next triumph on the list for The Boxer Rebellion would be to formulate a clearer direction for their music. There is something missing on “The Cold Still”, which definitely does not showcase their perseverance.